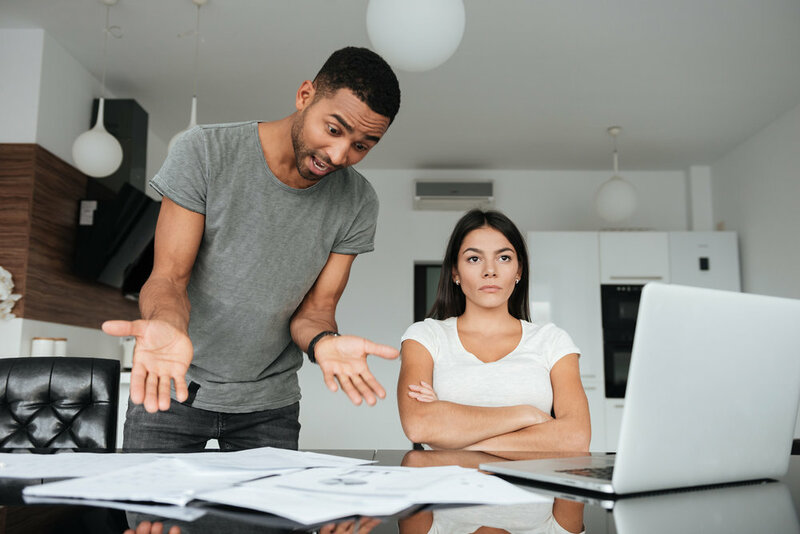 Did you know that "approximately 31% of all couples — even the happiest ones — clash over their finances at least once a month. Fewer than 2 in 10 women feel "very prepared" to make wise financial decisions. Half of these women indicate that they "need some help," and one-third feels that they "need a lot of help." Whether you are single or married these studies show you need to gain control over your money habits once and for all. Let's end the feast and famine money cycle that couples disagree about and single people struggle with continually. to live comfortably in your retirement. Wouldn't that be an amazing feeling? It's all possible, and all it takes is changing your habits. Introducing... the 21 days Healthy Habits Challenge! After my husband and I paid off over $90,000 worth of debt, I started my financial coaching business to help others get their financial lives in order and finally live the peaceful, prosperous life they've always dreamed of. In my work with couples and individuals over the last 13 years, several common threads have surfaced over and over. One of the biggest issues my clients face is the lack of healthy financial habits. Until now, the only way to work with me to learn those habits and get your financial situation straight was through private coaching. Now you can learn the tools to create your healthy financial habits through my 21 day email challenge! It’s only $39 to join. Through this 21 day Challenge, you and I will go through a journey together to learn what the top healthy financial habits are and how you can easily implement them in your daily life. These are the exact same principles that I teach my private coaching clients to follow and I can't wait to see you prosper as you implement them too! If you're ready to take the challenge, just enter your name and email below. No need to mark off class time in your calendar - you can do this in your pajamas at your convenience! Get results quickly! You'll get information on these habits for 21 days so you can move quickly to put them into action!